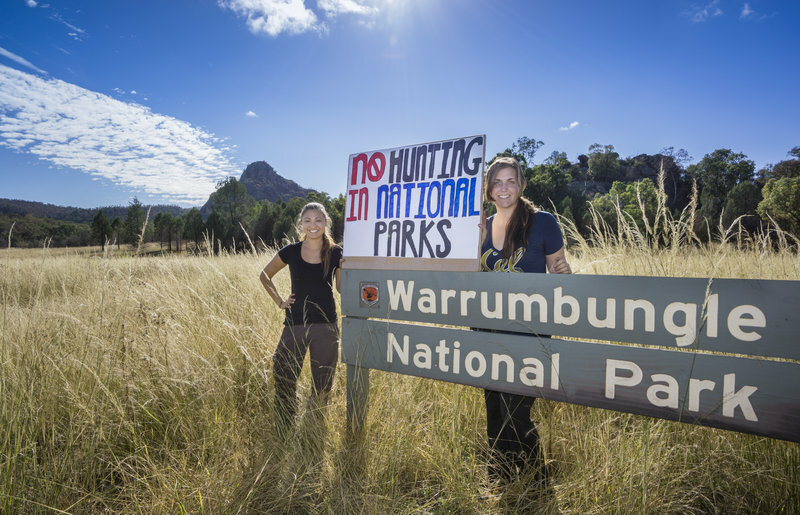 Say no to recreational hunting in NSW National Parks. New South Wales Shooters MP Robert Borsak says there has been a culture war over gun control in Australia since the Port Arthur massacre, but he believes people are starting to "get over it." Mr Borsak believes semi automatic weapons, which were banned in the wake of the 1996 massacre, should be put back in the hands of hunters and recreational shooters. Thirty-five people were killed when gunman Martin Bryant opened fire in the Tasmanian tourist site, prompting then Prime Minister John Howard to introduce legislation banning assault-style semi automatic rifles and pump action shot guns. 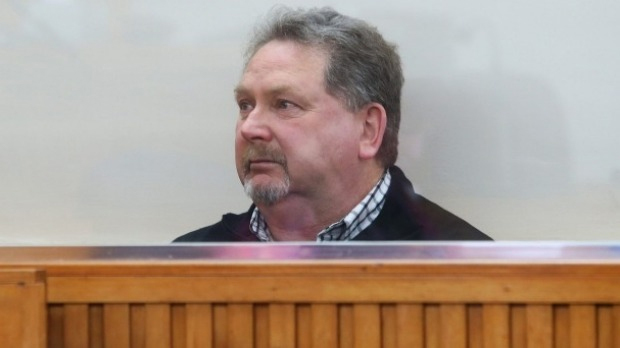 A man who accidentally shot dead his son during a hunting trip to Stewart Island in New Zealand was discharged without conviction during an emotion-charged sentencing on Tuesday. Stephen Phillip Long, 61, admitted in May to carelessly using a firearm causing the death of his 24-year-old son Samuel Phillip Long on March 23. In the Invercargill District Court on Tuesday, Judge Bernadette Farnan, who broke down with emotion when reading victim impact statements, discharged Mr Long without conviction and ordered the destruction of his rifle. A NATIONAL Parks and Wildlife Service ranger was stood down for allegedly letting hunters into the Paroo-Darling National Park in the state's far west in exchange for drugs. In another incident last month, illegal shooters were discovered by canyoners in the Blue Mountains World Heritage area. The incidents have been referred by the National Parks and Wildlife Service to police. The government confirmed there had been 12 investigations of illegal hunting in national parks in the past year. The state government is soon to decide whether to press ahead with its plans to allow shooting in national parks. Allowing hunting in national parks was agreed to in a deal between the government and the Shooters Party so the Shooters would pass the $5 billion sale of the ports through the upper house. The Game Council's role as the guardian of ethical hunting is in tatters after a senior manager and a longtime volunteer were charged with a total of 17 offences relating to illegal hunting and trespassing on to private land. Police in Orange seized firearms from the home of Greg McFarland, the former acting chief executive of the Game Council, and suspended his gun licence. Mr McFarland, 50, faces nine separate charges, including two of firing a weapon onto enclosed lands, entering land with a firearm, hunting without permission and entering a national park without permission. Fairfax Media can reveal the other man charged is Edward Hoogenboom, 66, of Orange. Mr Hoogenboom, a retired telecommunications worker, is a veteran Game Council volunteer who has taken part in gun safety programs. All reference to him has been removed from the Game Council website. Police also confiscated weapons from Mr Hoogenboom's home when they charged both men at 8pm on Friday. Mr McFarland has been suspended on full pay since Fairfax Media revealed in January that he was one of two men being investigated over the inhumane killing of a feral goat at a remote property 110kms south of Cobar. The owner of the vast Karwarn cattle station, Diane Noble, had reported a Game Council vehicle seen being driven through the Yathong nature reserve without permission before allegedly breaking a fence and entering the property in pursuit of a male goat. Pictures of the dead goat, stripped of its "trophy horns" will form part of the police case. Police have interviewed members of a hunting group from Victoria that had paid to hunt on Karwarn and confronted Mr McFarland and Mr Hoogenboom. Both men will answer charges of "driving a vehicle into park not on road into or traversing park", as well as possessing a prohibited weapon in nature reserve and possessing a firearm in a State Forest. Fairfax Media understands police will allege that the pair's illegal hunting activities were not confined to the one incident in December. Police from Darling River Local Area Command said in a statement: "Both men's firearms licences were suspended and firearms registered to them were seized by police. All matters are listed for mention before the Cobar Local Court on the May 16, 2013." News of the criminal charges will be a further blow to the credibility of the Game Council which had been tasked with overseeing the introduction of shooting in the state's national parks. It was the allegations against Mr McFarland that forced the Premier Barry O'Farrell to call a review into the governance of the Game Council. The introduction of hunting in national parks now has been delayed until at least June but unions representing park workers, as well as the opposition and Greens, have called for it to be scrapped. The matter will also call into question the role of the Shooters Party MPs, Robert Borsak and Robert Brown, both former heads of the Game Council. Mr Borsak called for a boycott of Fairfax Media when the investigation was first revealed. 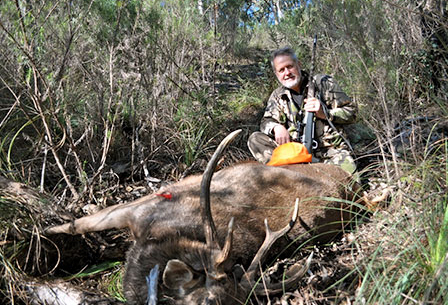 He conducted his own investigation, the results of which were posted on a public forum on the Australian Bowhunting website. He found that Mr McFarland and Mr Hoogenboom had been checking signs in the area when they came across the Victorian hunters. "Whilst there, Greg and Eddie came across a couple of groups of hunters, stopped talked to them, handed out business cards and went on their way," he wrote. "Someone from this group [from Victoria] shot that goat, took its head and was either found out by the owner or decided to cover their tracks by lying about who did it. Either way these fellows lied about the whole affair in order that they get out of trouble," Mr Borsak wrote. "Greg ... (has) been suspended, the GC's reputation has been tarnished ...but it/we will be vindicated, I guarantee that, so does Brown." A spokeswoman for the Game Council said she did not know whether Mr McFarland remained on full pay. Mr McFarland's solicitor David King-Christopher told the Central Western Daily on Saturday that the charges related to alleged incidents on December 28 and 29 in the Byrock and Cobar area but may not relate to the incident at Karwarn. Mr King-Christopher said his client intended to fight the charges. Meanwhile, the Public Service Association, representing park workers, has called for the Independent Commission Against Corruption to take over the investigation into the governance of the Game Council. ''How are our members and the public supposed to have any confidence in the Game Council providing safe professional programs when an employee and one of their trusted volunteers have been charged with criminal offences,'' said a spokesman. Mr Hoogenboom did not return calls. A fox hunter has been accidentally shot by a friend on a property north of Albury in NSW, near the Victorian border, police say. Police have been told two men had been shooting foxes on a Howlong property and were returning to the homestead about 9.15pm (AEST) on Saturday. A 31-year-old man allegedly picked up his rifle from the back seat of his vehicle when it discharged a shot, passing through the car seat and floor before hitting his friend in the left knee. A 32-year-old man, from Thurgoona, was to Albury Hospital for treatment. He is believed to be in a stable condition. Detectives have interviewed his friend and seized a 204 Ruger rifle for forensic examination as inquiries continue. The news comes amid reports that hunting in NSW national parks will occur with as little as 48 hours' notice. 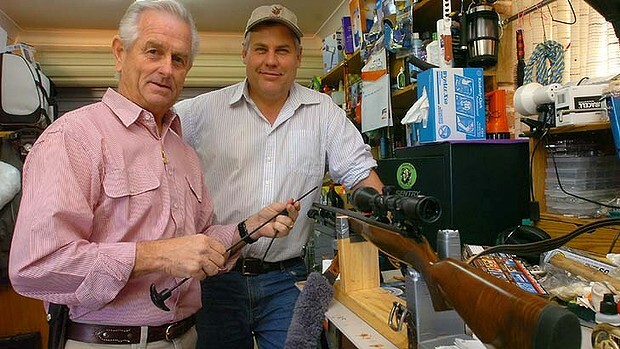 Amateur shooters will be allowed into 77 national parks later this year as part of a deal Premier Barry O'Farrell struck with the Shooters and Fisher Party in exchange for their support of his power privatisation. Fairfax Media reports rules currently being drafted by government would allow signs to be erected in parks and reserves as few as two days before shooting is due to start. There is a white cross on a tree in a national park. Beneath is a memorial stone to a hunter mistakenly shot by his friend. It is a scenario Premier Barry O'Farrell and Environment Minister Robyn Parker, who are planning to allow shooting in national parks, hope won't be repeated too often in the future. Now his widow has spoken out to warn of the risks of opening NSW parks to shooters and fears there will be more tragedies in the future. Gary Hill, 42, died instantly after his nephew lined him up in the sights of his .35-calibre rifle and pulled the trigger on what he thought was a deer. His ashes were scattered in the park by his widow and the two teenage children she was left alone to bring up. ''One minute you have a husband and then he is taken away from you through someone's careless action,'' Ros Hill said. 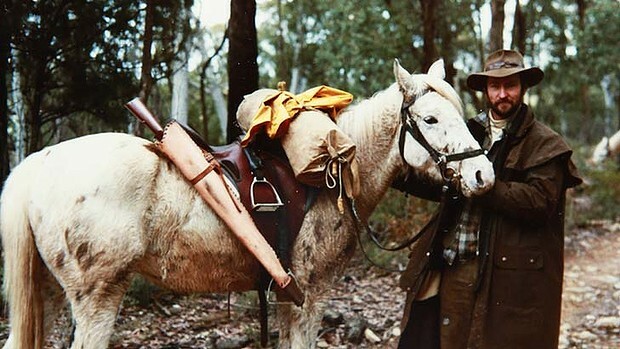 Joseph Norris, from Queensland, who fired the fatal shot in the Alpine National Park in Victoria, was a professional shooter and more experienced than many preparing now to shoot in the parks. He told a coroner's court he might have been suffering from ''buck fever'', a condition in which hunters are too anxious to bag a deer. It is that mentality that concerns those who are opposed to allowing shooting in national parks. 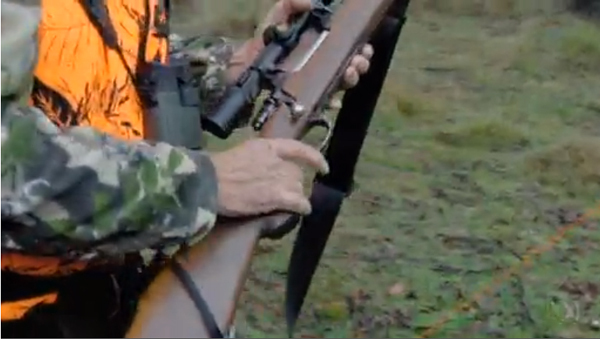 The number of people holding shooting licences has been increasing since Mr Hill was killed in 1994. Despite the tragedy, Mr Norris still has a gun licence, still shoots and has travelled to Canada to shoot elk, the world's largest species of deer. He is no longer in touch with the Hill family and believes that introducing shooting in national parks ''makes no difference'' to the chance of accidents in the future. ''The facts are I failed in my duty to identify the target correctly, it is no more complicated than that. Basically the fact is I f----ed up and finished shooting my best friend. But Mrs Hill, who used to target shoot, disagrees and believes allowing shooters into the national parks without stricter controls will mean more white crosses on trees. ''I was with him half my life and then I lost him. It still doesn't go away. ''It fractured my family, you are not a complete family any more. I am still very angry and when I watched the program that made me twice as angry. I was angry at Robert Borsak from the Shooters and Fishers Party and at the Game Council. ''There are rules of shooting that you should obey. If a professional shooter can do that [shoot someone], anyone can do it. She doesn't believe the wearing of blaze orange caps or clothing will make a difference. ''People who go in and shoot have no thought for other people,'' she said. ''They are there for themselves to shoot and get something. ''The jackets aren't going to do anything. ''Gary probably went the way he wanted to go but I don't think we got justice with how he died and I think part of the problem is the gun laws. Greens MP David Shoebridge said the tragedy confirmed the risk identified by the National Parks and Wildlife Service of letting amateurs into the parks. ''You can get your gun licence and your hunting licence from the Game Council and you are never required to have actually fired a gun or show any competence. They are both paper tests,'' he said. ''We will have people in national parks who are rank amateurs who may have never fired a gun before and the first time they are handling a live weapon is when they are sharing a national park with bush walkers and members of the public. A five-year-old boy who was playing with a .22 calibre rifle he'd been given as a gift accidentally shot and killed his two-year-old sister in their Kentucky home, officials say. The shooting happened on Tuesday in rural Cumberland county and the little girl was rushed to a hospital where she was pronounced dead, the state police said. Cumberland County Coroner Gary White identified the girl as Caroline Starks and said the children's mother was cleaning the house at the time and had stepped outside onto the porch. "She said no more than three minutes had went by and she actually heard the rifle go off. She ran back in and found the little girl," White told WKYT news. The rifle had been given to the boy last year and was kept in the corner of a room. The parents didn't realise a shell had been left in it. 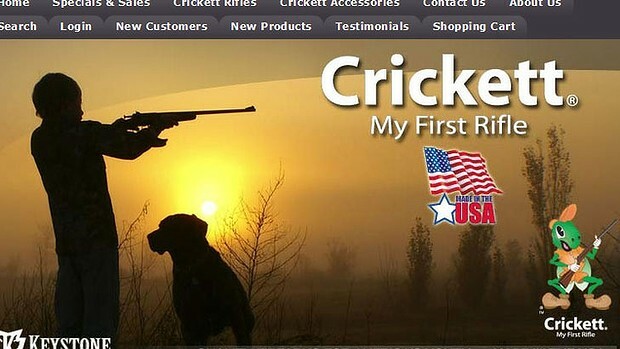 The rifle used in the accident is a Crickett designed for children and sold under the slogan “My First Rifle,” according to the company's website. "It's a Crickett," he told the Lexington Herald-Leader. "It's a little rifle for a kid. ...The little boy's used to shooting the little gun." An autopsy was set to be conducted on Wednesday, but White said he expects the shooting will be ruled accidental. "Just one of those crazy accidents," White said. 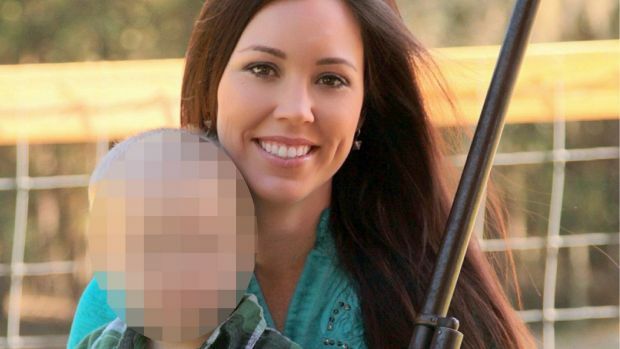 Jamie Gilt was driving her car when her four-year-old son shot her in the back. "She was shot through the seat and the round went through her back," Sheriff's Captain Joseph Wells told the Times-Union. "There was a booster seat in the back of the vehicle, however, the boy was not strapped in when the deputy got to them." Gilt — who was towing a horse trailer when the incident occurred — was on her way to a relative's home to pick up a horse, police said. Her vehicle was spotted by a sheriff's deputy who was driving by and noticed Gilt in the driver's seat "motioning to him as if she needed assistance," according to police. After approaching the vehicle, the deputy realised that Gilt had been shot. The boy was returned to his family, who met with members of the Putnam County Sheriff's Office Victim Services Specialists, police said. The Florida Department of Children and Family Services was also notified, and police are investigating how the child got hold of the gun and whether the incident warrants criminal charges.